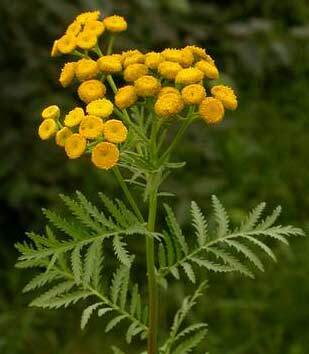 Tansy is a herbaceous perennial that grows up to 5' tall. Stems are kind of hairy, woody, and purplish red near the base. Leaves: Leaves are 2-12" long and are half as wide. The leaves are toothed and are strongly aromatic when crushed. Flowers: Flowers are clusters of bright yellow discs. Discs are around .5" wide and they bloom in July through October. Fruits & Seeds: Seeds are yellowish brown and are dispersed by wind, water, and roadside mowing. 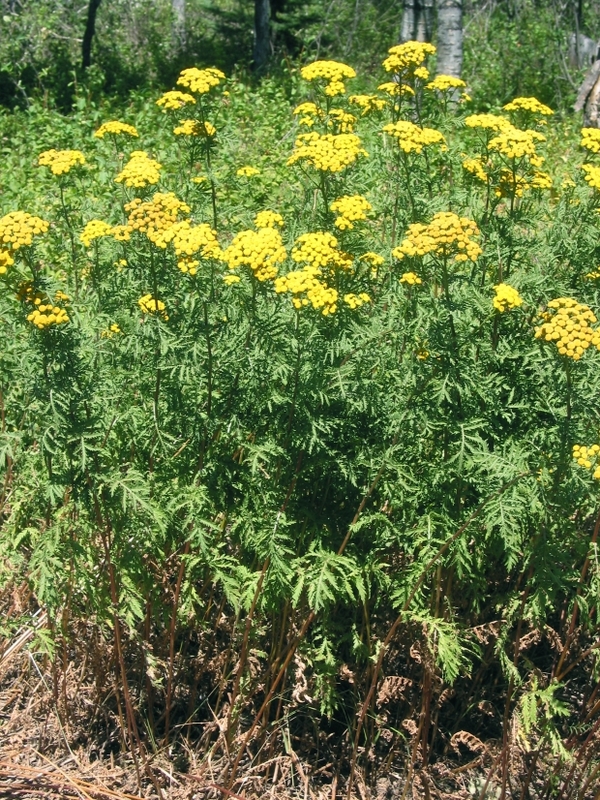 Tansy invades well drained and sandy soils in prairies, fields, pastures, and roadsides. It is unpalatable to grazing animals, and contains alkaloids that are toxic to both livestock and humans if consumed in large quantities.